Lately I’ve come to think of my longing as longing and groundwork hybrid. I’ve decided to call it grunging. In order to grunge properly, I need to put on my flannel shirt, ripped jeans, and converse sneakers. My horse has far more options on what to wear. I tried to think of all the setups I do with horses when I work them from the ground, and took pictures of each one. Rope Halter The vast majority of the time I like to use a rope halter with the line coming off the bottom. I change directions a lot and this gives me the best feel from side to side. Make sure you tie the halter like this. The crown piece should tie to the loop, not back on itself. 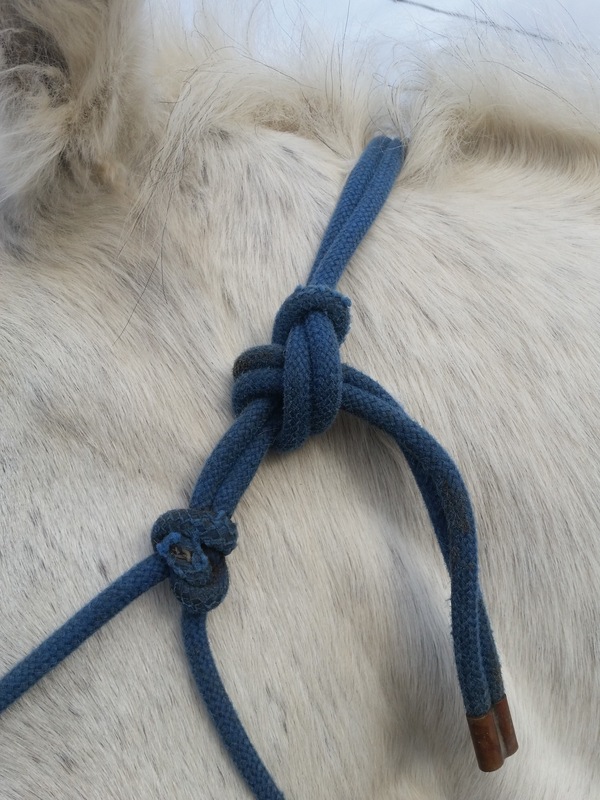 The excess should point up over the horses withers when you’ve completed your knot. Flat Halter Some horses have heads that are too dainty for rope halters but a flat halter stays in place just fine. 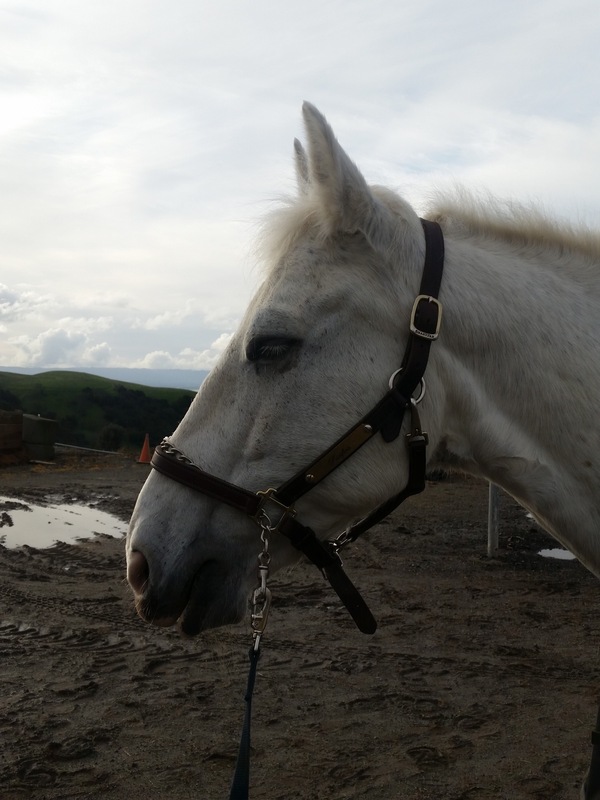 No matter your setup, make sure that your halter doesn’t pull into your horse’s eye while you are working him. I leave the line attached to the bottom ring of the halter so I can change directions frequently. 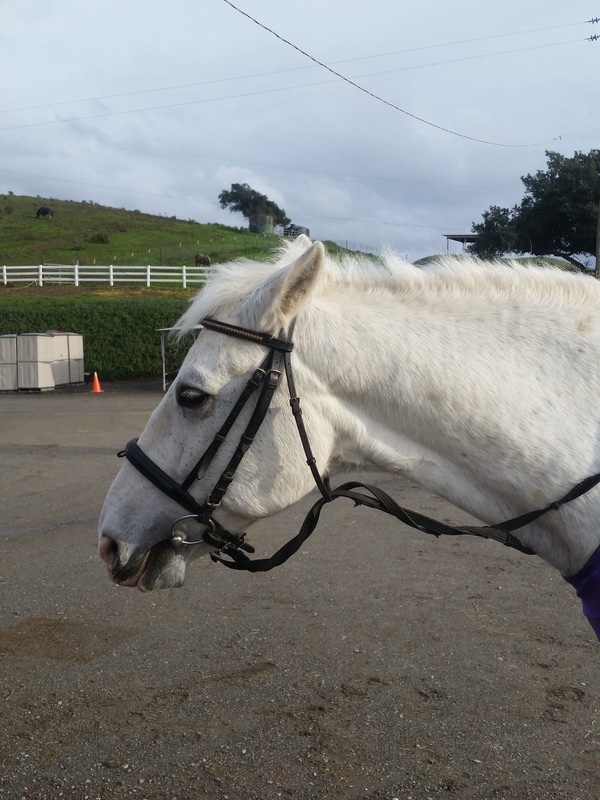 If the horse is pulling on me too much in a halter, usually I go to the bridle next. 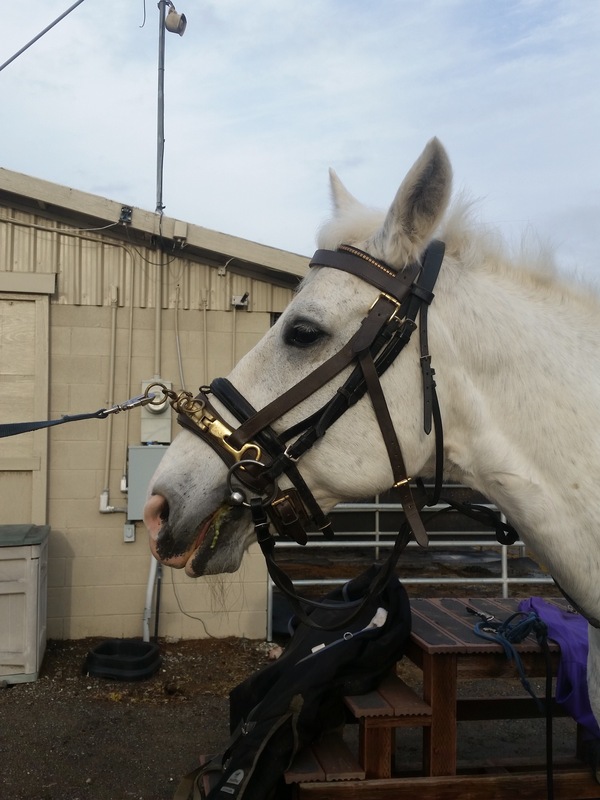 These ways of attaching the line to the bridle should be switched when you switch direction. However, you can sometimes get by without switching them if you are a good hand. 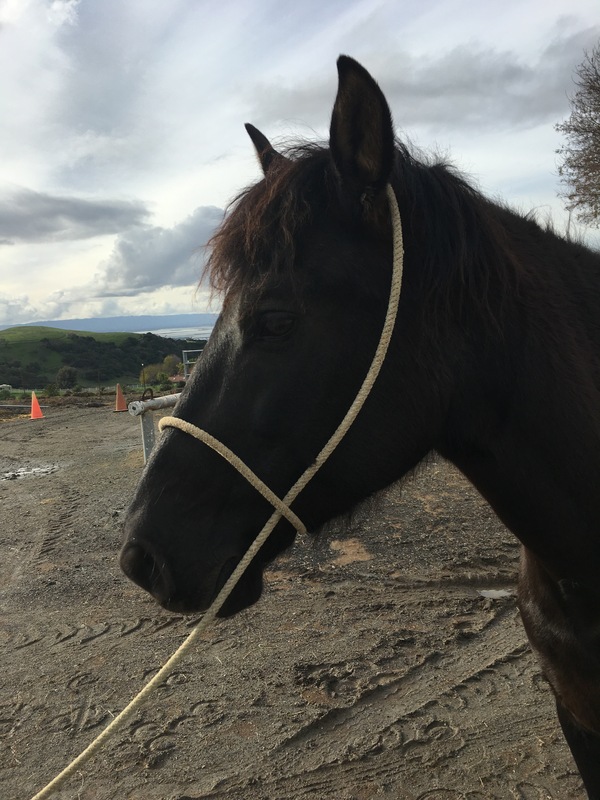 Be sure to take the reins off your bridle, or tie them up so your horse doesn’t get his leg through them when he puts his head down. Twist the reins under the horses neck. 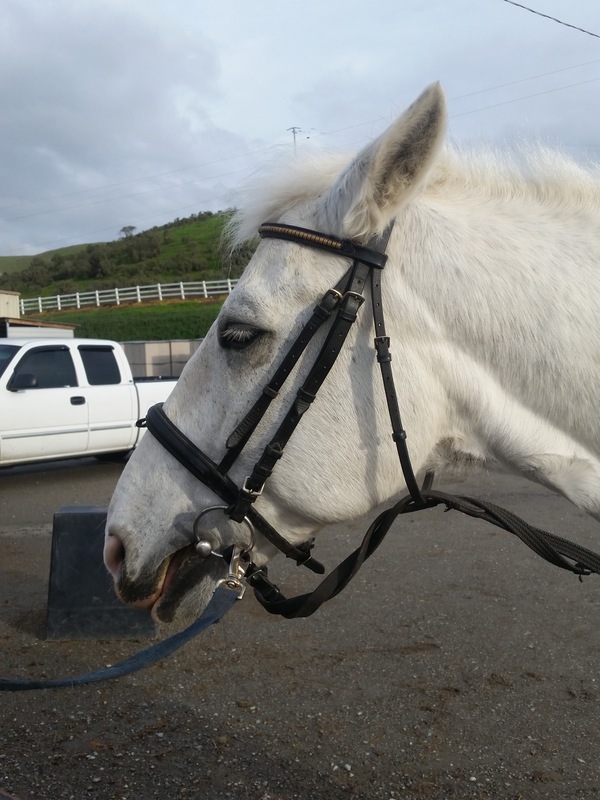 Run the throatlatch of your bridle between the reins and buckle normally. 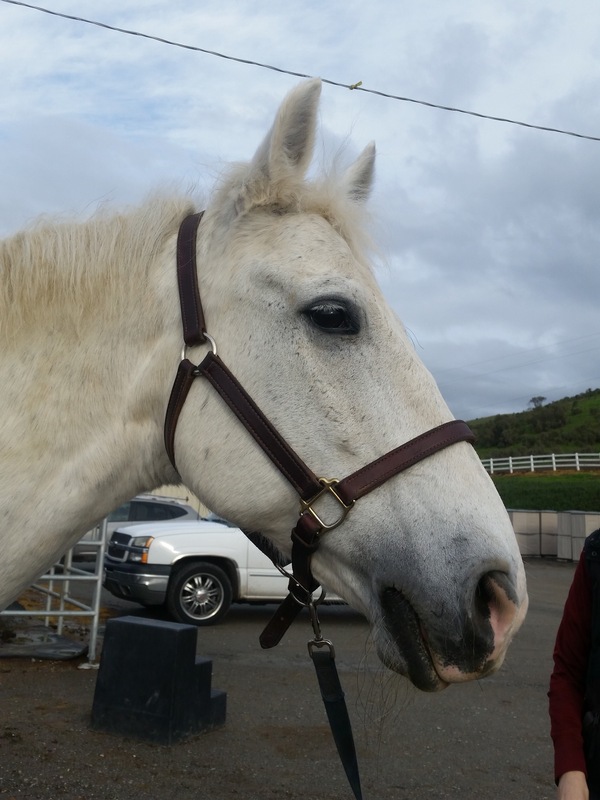 Or toss both reins over one side of your horse’s neck, strangle him with them, and buckle the reins in place. 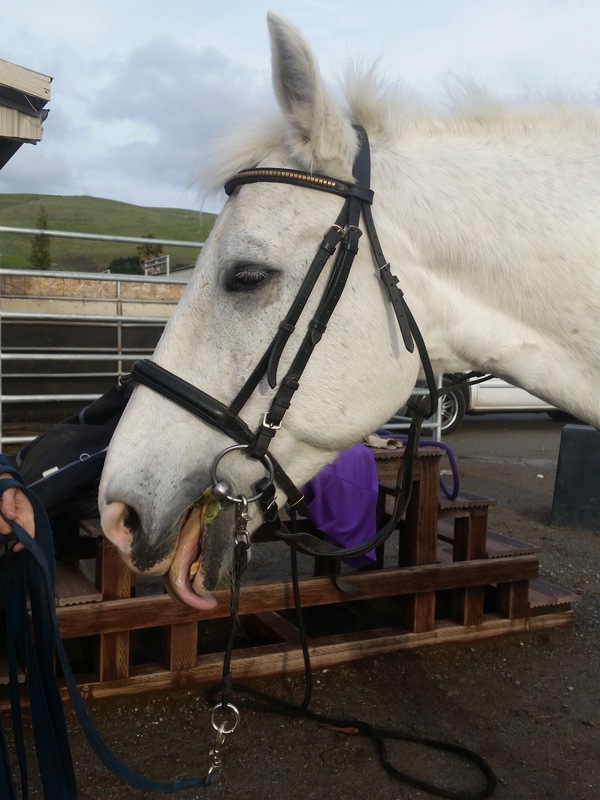 Secure the reins with the throatlatch and make sure they are not pulling on the bit…or actually strangling him. Under the chin I like to run my line through the bit, loop around the bit ring, then under the chin and clip to the other side. 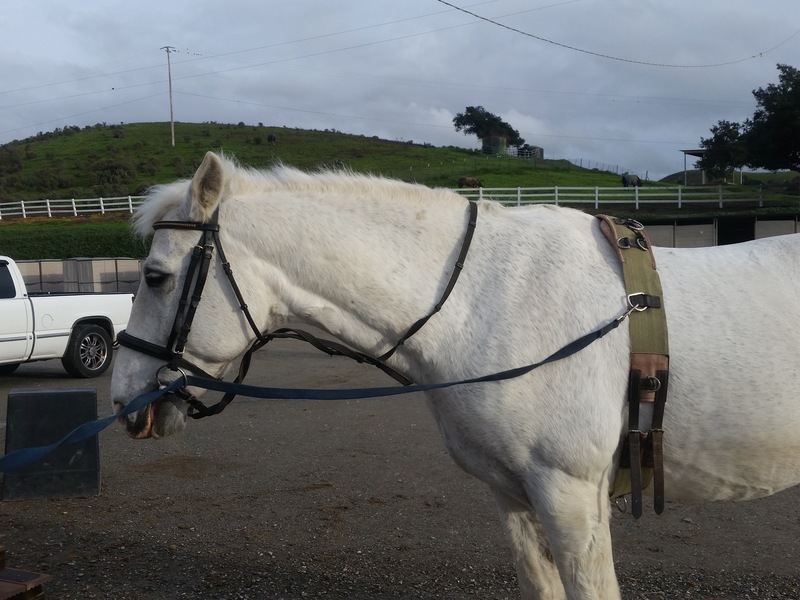 I find this discourages the horses from hanging on the contact of the longe line and is closest to the feel of the rope halter. Gag rein Once in a while I will have a horse who is too sensitive to the under chin style, so I will use the gag rein style. Run your line through the bit ring, over your horse’s head, and clip it to the bit ring on the other side. This keeps the bit off of the bars of the horse’s mouth and transfers it’s action to his lips. Coupler Couplers clip to the bit on either side. Pacifico looks like he has the same opinion of couplers as me. 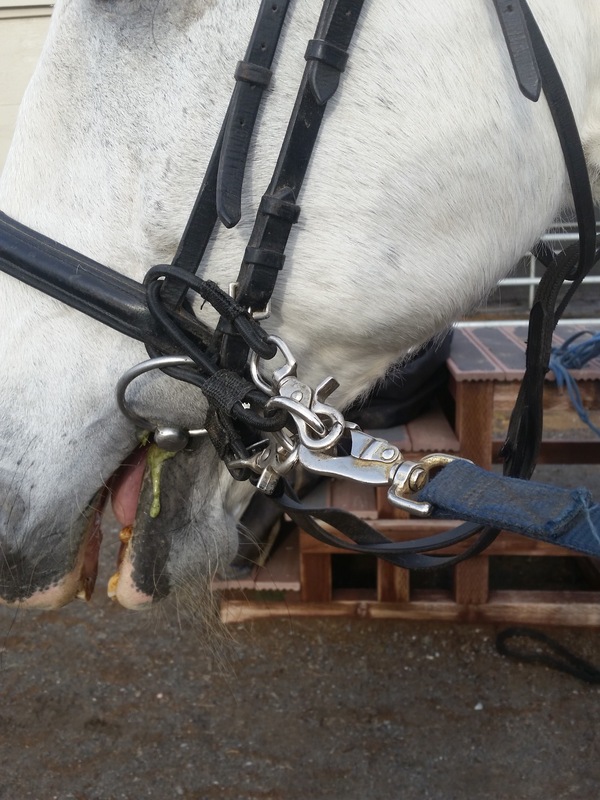 The coupler will probably prevent you from pulling the bit through the horse’s mouth, but really just puts pressure on the far side of the bit. Simple Clip The only time you should just clip the line to the inside bit ring is if you are using side reins. Otherwise you will likely pull the bit through the horse’s mouth. I rarely use side reins, so I rarely use this style. Bit and Noseband I took a longing workshop years ago through the USDF and they advocated using an auxiliary loop to go around the inside bit ring and the noseband. Personally, I hate the feel of this. 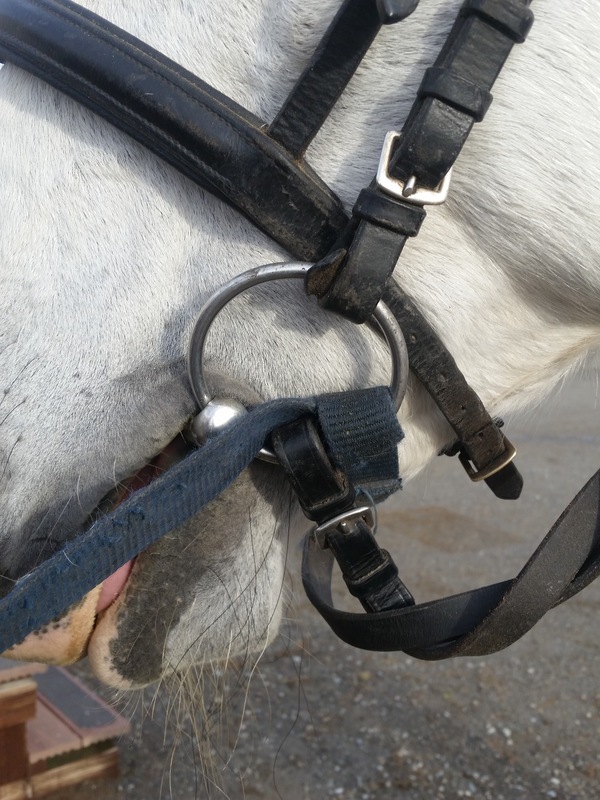 The bit keeps the noseband from being a good point of control and vice versa. But I guess you won’t pull your horse’s bit through his mouth. I made this particular attachment from the coupler, though I’ve seen a cat collar work too. There are a few styles that I use with a very naughty horse. I’m talking about the jerks that set their neck against you and pull the rope out of your hands. I don’t use these set-ups very often because I don’t encounter this level of naughtiness very often. This looks like a lariat because it is one. This usually does the trick for me with the horses that pull away. 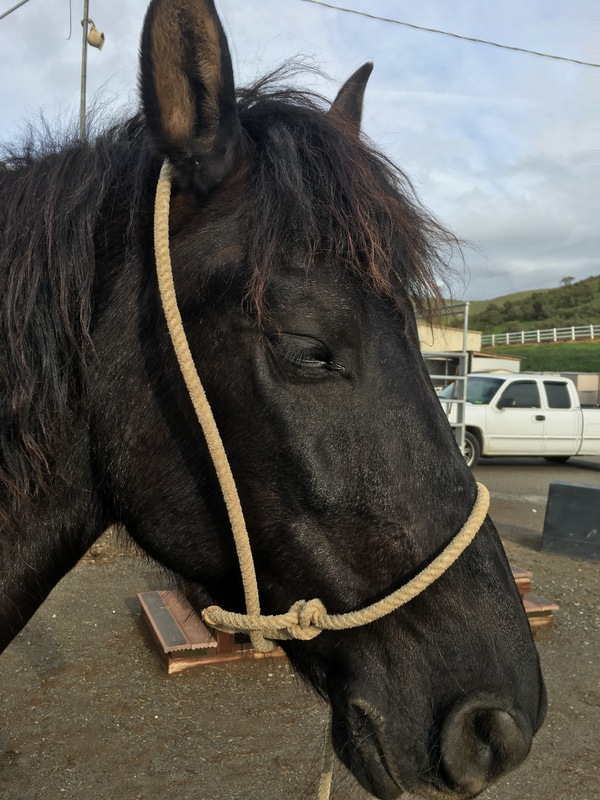 If the rope went through the mouth instead of over the nose, that would be called a war bridle. I’ve heard you can break a horse’s jaw using a war bridle so I’ve never used it. I’m keeping that idea in my back pocket in case I get a horse too naughty for my other methods one day. Sliding rein The line runs through the bit and clips to the surcingle on the same side. This gives you more leverage for the horse that braces his neck against you and tries to pull away. I think the lass-rope halter works better. Every so often situations arise to necessitate alternate attachment methods. Stud Chain There are a bunch of ways to attach a stud chain. That is a topic for a whole other day. 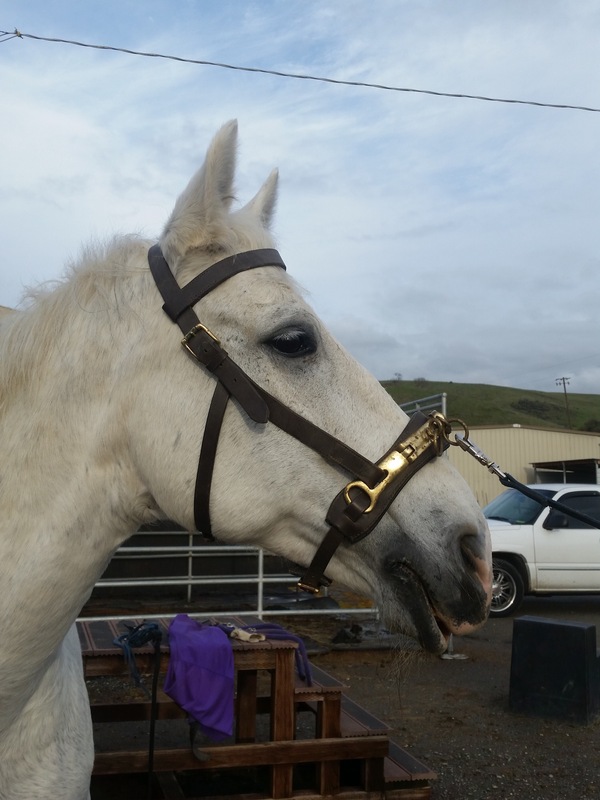 The most mild way of using the stud chain is to have it come over the noseband of your halter. Every time you run the chain through a ring on the halter, be sure to go from the outside in. Longe Cavesson These suckers are heavy and noisy. 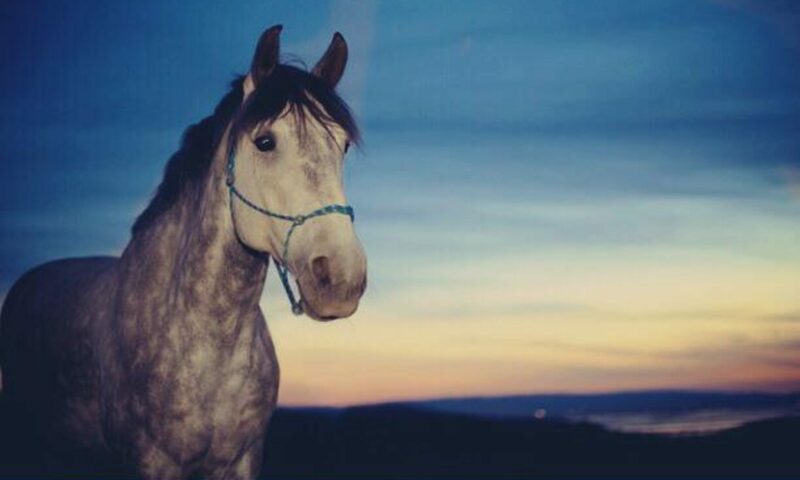 They are widely used in European styles of working horses. 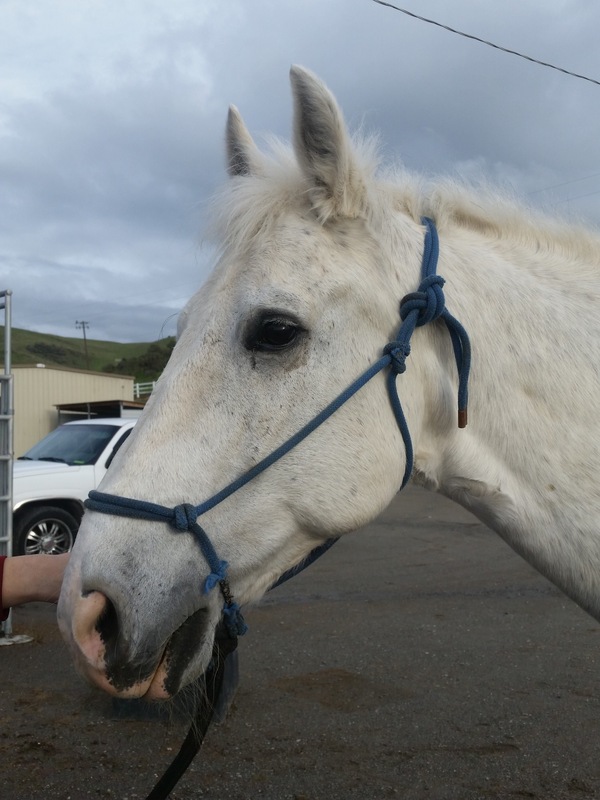 It has a similar feel to the halter, but is more restrictive in the jaw. The line attaches to the center ring on top of the horse’s nose. Longe Cavesson and Bridle If you want to use the longe cavesson and the bridle, put the bridle on first, then the longe cavesson over. 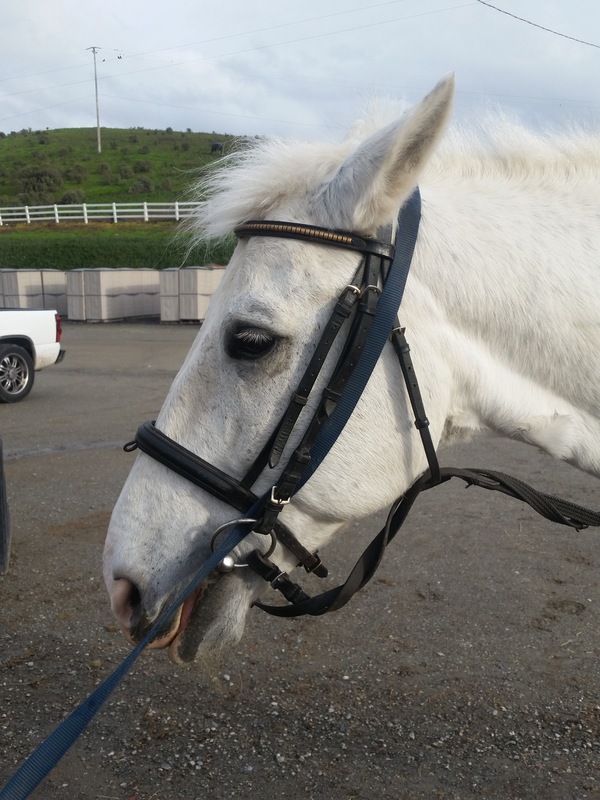 Be sure to run your cavesson’s noseband under the cheek pieces of your bridle. 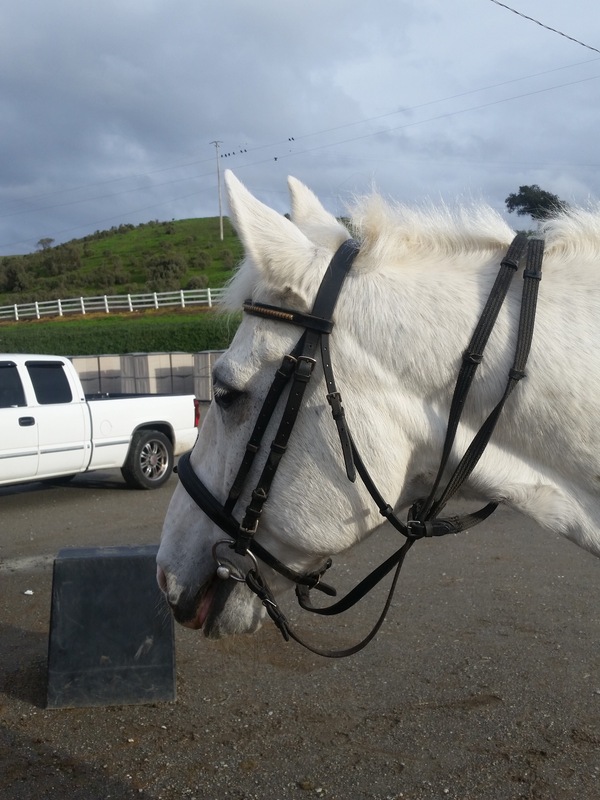 Either remove your bridle’s noseband or be sure the cavesson isn’t sitting on top of it. Lastly, be sure that the longe cavesson is sitting in your horses nose bone, not his cartilage. I usually only use all of this when coaching someone for a pony club testing or USDF longing examination. 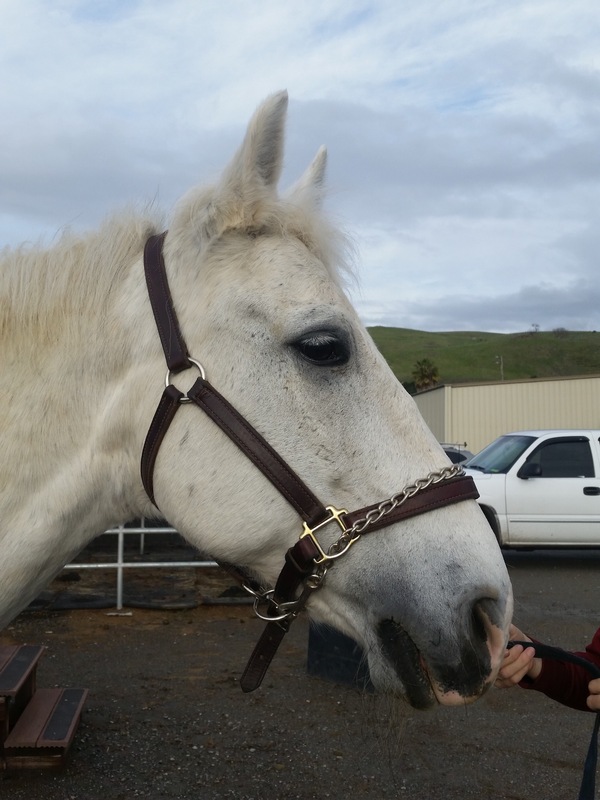 Which style of attachment is right for you and your horse? That depends on you, your horse, and the exercises you like to do while grunging. You should experiment to find out what is right for you. Try some different attachments while working your horse, and see which ones make your horse go the best without making you work too hard.